A good friend of mine, Jeffrey Wallace, took this picture recently and it captures the spirit of this province I live in so well I got permission to post it. He is an awesome photographer as you can see. Notice the Rocky Mountain Bighorn Sheep on the outcrop in the foreground. 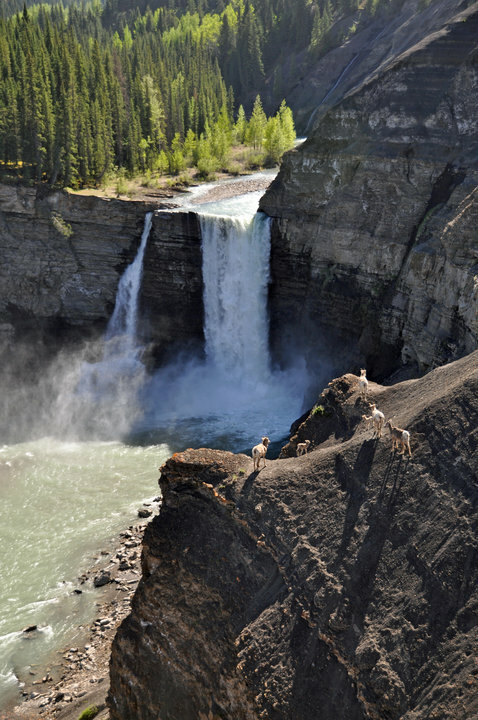 The falls are 35 metres (over 100 feet) in height and quite spectacular. It is possible to drive close to them and then a short hike through the trees gets you there. They are west of Red Deer, Alberta in the Rocky Mountains. Long suffering Chicago Black Hawks fans can rejoice. 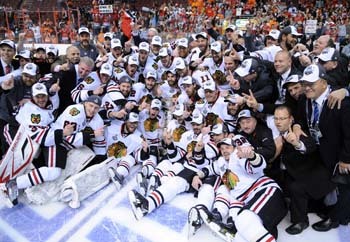 Last night they won their first Stanley Cup in 49 years. The last time they hoisted the cup was the 1960-61 NHL season. That year Bobby Hull, Stan Mikita, Glenn Hall, and Pierre Pilote led them to the championship. The Hawks have had many opportunities to win since 1961, but haven’t been able to finish it off. Since the 1961 championship the team has reached the finals 5 times and lost every time. Here is their record in the modern era from 1960 to present. Congratulations to the Chicago Black Hawks and their fans for a well played final and a well-deserved victory. 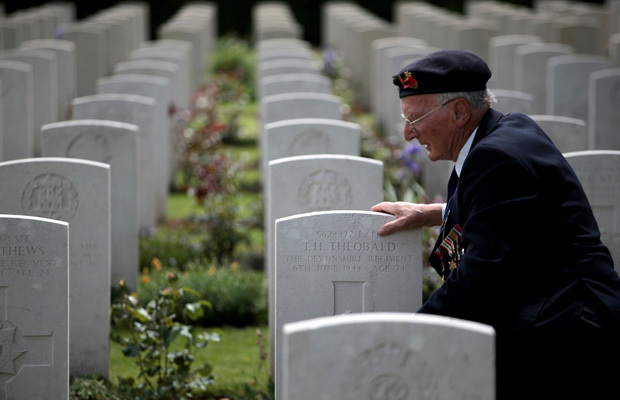 66 years later a vet visits the graves of his buddies in Normandy. The fact these veterans still fondly remember their friends so vividly all these years later illustrates the bond they had for each other. They did not die in vain. Hitler and the Nazis were defeated. Germany is now democratic, and the world is a better place for it. These vets did what had to be done. They faced fear, manned up, and did the job. I thank them and remember them. You are currently browsing the WRITINGS & RAMBLINGS blog archives for June, 2010.